Previously I went through a quote attributed John Calvin in which he is purported to have written, "I have exterminated Michael Servetus the Spaniard." There's good evidence that this quote is from a forged letter and not from the pen of Calvin at all. The nuts and bolts of this can be found in my previous post. What I did not realize then was the extent to which one of the modern sources has popularized this quote. Over on the CARM boards a person posted the quote and was kind enough to provide a link to the book it came from: Did Calvin Murder Servetus? by Standford Rives. A few folks defended this book as the go to source on the Calvin / Servetus issue. I'd like to take a closer look at the way the quote appears in this book, and then mention a few questions I have in regard to the author. 548 David Benedict, A General History of the Baptist Denomination in America (Lincoln and Edmands, 1813) at 186, quoting Rev. Robert Robinson’s Ecclesiastical Researches (Cambridge: Francis Hodson, 1792) at 348. Here is not the place to delve into a defense or prosecution of Calvin's involvement in the execution of Servetus. What interests me is the quote itself and how it's documented. One thing to immediately note is that the phrase "[Anabaptists and others]" is not from the original, it was added in. More troubling though is the documentation. Rives quotes Benedict, who is quoting Robinson, who is allegedly quoting Calvin! First, it's in vol. 1 of Benedict (his footnote left that out). Second, when one goes to look at Robinson, one discovers that author is citing Voltaire who is citing Calvin. So Standford Rives never actually quoted Calvin directly. He quoted someone quoting someone who quoted someone quoting Calvin! This letter from Calvin was first popularized by Voltaire. It was included in Dr. Jules Bonnet's collection of Calvin's letters, published originally in French in the 1850's. There is an English translation of Calvin's letters from Bonnet's French. The letter in question can be found in Letters of John Calvin Vol. IV, pp. 439-440. Dr. Bonnet included this letter in a chapter entitled, "An Historical Calumny Refuted." There Bonnet documents the spuriousness of the letter. He mentions that the first publication of the letter was in 1750. He also documents that the letter swept across nineteenth century scholarship. After personally seeing the letter, Bonnet argues it (along with another one) is a fraud. Those reasons can be found in my previous post (or simply read "An Historical Calumny Refuted). The most compelling of the reasons is that the alleged letter gives someone a title he did not hold until twenty years later (M. du Poet, grand chamberlain of Navarre). Over on CARM, the work of this author received accolades. The topic was said to be "thoroughly researched," "brilliantly researched," "you'll hardly find a more well-researched or documented book...with more footnotes to verify any information yourself," and "will eviscerate the common stock Calvin apologists' arguments." We've just seen above a blatantly poor neglect of information and spurious documentation. The ironic thing is that Rives cites the french version of Bonnet's Calvin letters a few times. I can think of a few reasons why this information about the forged letter was left out. First, he missed it because he didn't do adequate primary research; second, he willfully left it out because it did not fit his construction of Calvin. Third, perhaps he was not convinced of the forgery. One would think though in a 606 page book that the author would have at least mentioned it. Standford Rives, Author of Did Calvin Murder Servetus? Mr. Rives is a California attorney. He has been in practice for twenty-seven years. In school, he studied Classical Greek and Latin. Mr. Rives has been an evangelical Christian since age 15. He was first baptized in a Baptist church. He has spent most of his thirty-one years as a Christian attending a Reformed Calvinist congregation. Keep your eye on the ball. Amazon says Rives was in a Calvinist church for over 10 years, the back cover says most of his 31 years, and we'll now see that the stat turns into over 15 years in his own on-line bibliography: "In my experience for over 15 years in a Reformed Congregation..." OK, so before it was "over ten years," then most of his thirty-one years, now he's says "over 15 years." So, is he still in a Reformed church? His Calvin book blurb says he "was" a member of Calvinist church. Which Reformed church? Was he a member? Was he there ten years, 15 years, or most of his thirty-one Christian years? Mr. Standford Rives is a licensed practicing attorney. He has been in practice for over twenty-eight years. Mr. Rives has been an evangelical Christian since age 15. From 1998-2002, Mr. Rives served as a self-funded full-time missionary with his wife in Latin America in an out reach to children of the very poor. This book was written after his Calvin book, so it appears he was still in practice as of 2012, so we know he was still in practice up until recently, at least. If anyone can find some hits to this mystery lawyer, I'd be interested in seeing that information. The bottom line is there is zilch in regard to the author's credentials to write an historical account from the 16th Century, and actually, there is next to nothing to know about this self-published author / lawyer. I did find a website that claims "Standford Rives" is a fictitious name. This may be be the truth of it. If so, I think I actually have found the author's real name, but until I can verify this, I'm not going to post it. A reviewer on Amazon also mentions "Standford Rives" is a pseudonym, and also mentions the real author has some bizarre doctrinal beliefs, including a link to the author's website that demonstrates the author rejected and denigrated the apostleship of Paul and also denies Paul's books as Sacred Scripture. From my quick cursory search, this does appear to be the same person, but in this age of information deception, who knows? It could very well be there's a lawyer out there that's flying under the online information radar. 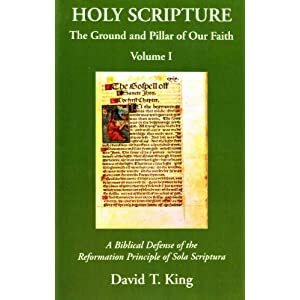 On the other hand, if it is the same person mentioned in the Amazon review, the person that wrote against John Calvin with such authority, did the same with the Apostle Paul! 1) If you're going to to write a book on X, it's essential to cite X, not someone quoting X. 2) If historical figure X spoke a different language than the author does, the author should be able to read X in his/her own language. 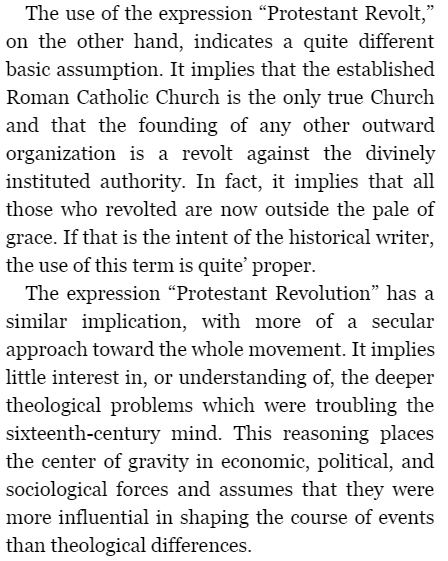 So far in my cursory look into his book, Rives has not demonstrated either of these points. What would make it all the worse is if the author is not using his real name. If someone is going to write an historical account and actually sell it, then why not have the integrity to use a real name? If this is explained somewhere in his Calvin book, I have not come across it yet. If the author is using a pseudonym, the book's credibility amounts to the same as that of an anonymous website, but in this case, someone has to pay money for the content, unlike a website that can be accessed for free. Granted, none of this information refutes what the author argues in his book, Did Calvin Murder Servetus? It should though serve as a warning about being careful with the content. Yes, sometimes you can take your broken car to your weird friend Bob and have him fix it. Other times, Bob might be in over-his-head, working on an antique foreign car that requires bonafide training and skill. He might get it running, but if you honk the horn, the lights may turn off.